"Sometimes, the little things can make a huge difference." That, I assume, was the logic behind social media giant Twitter’s thought process to add emoji’s – alternatively known as ‘hashflags’ in the world of 140 characters – to their keyboard back in 2010, in an attempt to compete with the growing use of emoji keyboards on smartphones. The concept came in conjunction with the 2010 World Cup and arrived exactly as described. 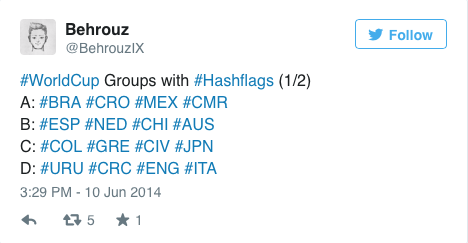 Users could tweet a hashtag involving a participating nation and that nation’s flag would appear next to it, adding visual appeal to each and every tweet. Fast forward to the 2014 World Cup, and Twitter re-introduced the concept – again to great success. The concept behind such success is – as stated before – visual appeal. The idea of enhancing one’s reading experience by including small visual add-ons was already at an all-time high after the introduction of the aforementioned emoji keyboards and if someone can add value to their sentence, or further convey their emotional state by adding an image to accompany their words, they will undoubtedly do so every time. In fact, I’m sure if you asked most, if not every teen with a smartphone, they would tell you that an emoji keyboard is a necessity within modern text messaging and social media platforms these days. 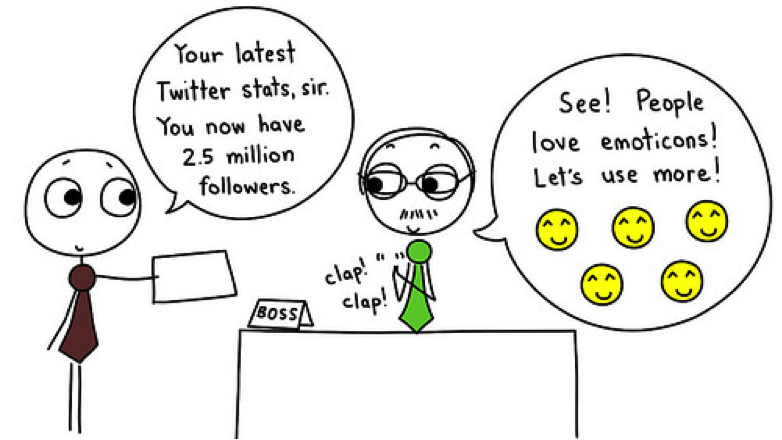 It simply adds to the overall experience of sending and/or reading a text, a status or a tweet. There will even be masses of users out there who used the most recent emoji or ‘hashflag’, just to say they have used them, to become part of the latest trend. What is considered to be a piece of fun for most users, is also a driving force behind sustained and consistent use of those very same social media platforms that provided it for you. 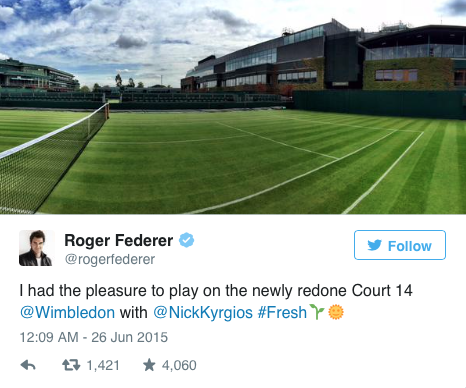 Twitter’s plan is simple, yet effective – as proved by the introduction of General Election ‘hashflags’ earlier this year and the recent introduction of Wimbledon ‘hashflags’, to celebrate the tennis championship’s annual contention. 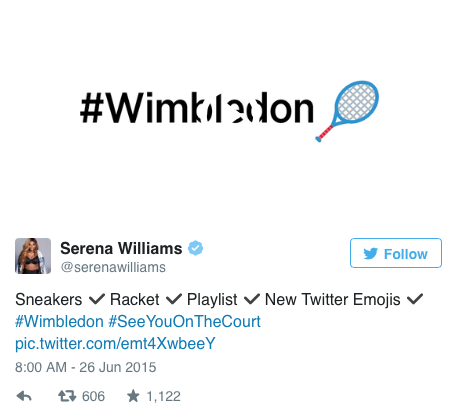 Of course, a little help promoting such add-ons is key, but again, twitter have an ace up their sleeve – just ask Serena Williams or Roger Federer, who pushed just some of the twitter tennis emoji’s. The fact of the matter is that ‘hashflags’ and emoji’s are simple, easy on the eyes and most importantly, effective – three of the most important aspects when attempting to get a product over with the masses.